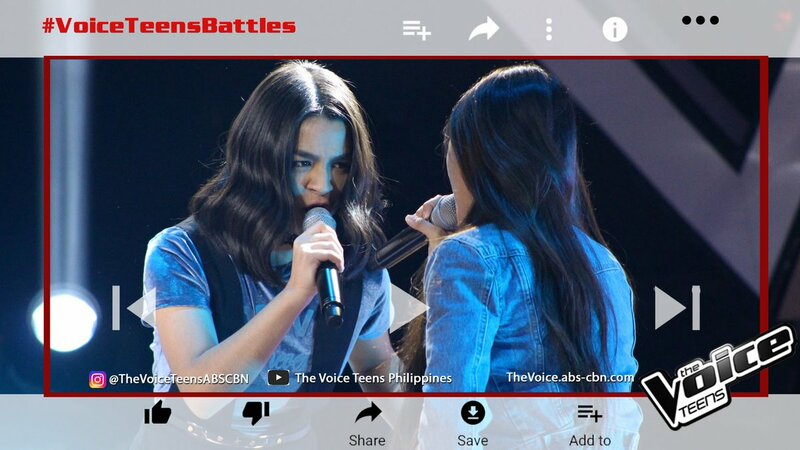 Bea Muñoz and Fritzy Eluna from Team Bamboo performs ‘Dream On’ on The Voice Teens Philippines Battles on Sunday, June 4, 2017. I this round, the coaches pit two of their own team members against each other to sing the same song together in front of a studio audience. Don’t forget to tune in tonight. Final result and video of their performance will be posted below. “You both deserved it but I go with Fritzy,” said Sharon. “This is the battle we wont forget,” said Lea. “For this round, I pick Bea,” said Sarah. “Bea excellent performance, Fritzy your soul comes out naturally,” said Bamboo.